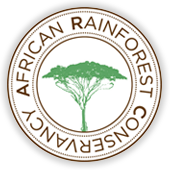 I am very excited to be covering the African Rainforest Conservancy’s 21st annual Artists for Africa Benefit in a few weeks for The Chic Ecologist. Honoring Kris and Doug Tompkins and in support of the conservation of Tanzania’s Eastern Arc Mountains and Coastal Forests, this year’s benefit will also feature the naming of a newly discovered frog. This frog, discovered in the Nguru South and Nguu North Mountains of the Eastern Arc rainforest of Tanzania, changes color from a milky white during the daytime to yellow with brown spots during the nighttime. When: Wednesday, April 11th – Cocktails begin @ 6 p.m.
Additional event highlights will include silent and live art auctions showcasing the works of over forty celebrated artists—including William Abranowicz, Chris Dei, Gerald Forster, Chris Jordan, Carlo Mari, Arthur Meyerson, Jonnie Miles, Joseph Peter, Mirella Ricciardi, and Spencer Tunick—many of whom have graciously supported ARC over the years and will also be in attendance. Providing the ambiance for the evening is a choral performance by the New York City Master Chorale. Raising over $1 million over the past two decades, this annual event supports ARC’s mission of promoting the conservation of Tanzania’s Eastern Arc Mountains and Coastal Forests by empowering local communities to become the guardians of their forests. Event proceeds will provide core support for ARC’s grassroot conservation and community development programs in 146 villages throughout the mountain ranges and coastal forests of East Africa—among the oldest and most biodiverse in the world. -Carter Coleman, ARC Founder and President. Across the planet, Kris and Doug Tompkins, who both left highly successful careers (Kris as long-time CEO of Patagonia and Doug as Founder of Esprit and The North Face) to follow their passion for preservation efforts, have launched visionary programs that have preserved 2.2 million acres in Chile and Argentina—more than any other private individuals—and heightened attention to the devastation of disturbing these landscapes. Through foundations established by the Tompkins, The Conservation Land Trust and Conservacion Patagonia, they have created two national parks with plans for three additional parks in the works. Innovative programs focused on landscape restoration, endangered species research and reintroduction, community outreach and eco-education are all part of their holistic approach, which is helping to protect and restore wildlands, biodiversity, and healthy communities in ecologically critical areas. I look forward to bringing you all the highlights and excitement from the evening!